Got my hair cut – Ella Chen inspired! Hellooo people, I got my hair done recently! 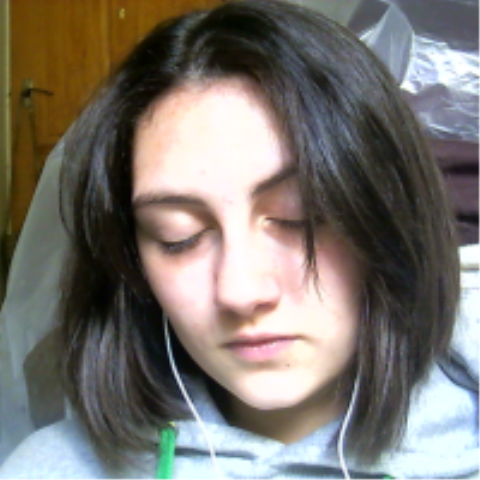 The style I asked for was quite a dramatic cut considering before I had pretty long hair! I had to think for a long time before doing this because my hair is naturally curly and I didn’t want this to hold me back styling-wise. My cut is inspired by Ella Chen, the singer and actress, member of the 3 member girl group S.H.E. and I personally love how it turned out! I will post pictures of myself with the cut and the picture of Ella I took into the hairdressers. Compare and contrast for yourselves and tell me what your opinion is! Anyway before I ramble on here are some pictures! This is a front shot, kind of. My fringe is still growing out! Now because this style is one length, cutting my hair shorter means my fringe will blend in easily when it’s fully grown out and all my hair will be the same length quicker. Here I’m just showing you how short the under neath is, pretttyyyyy short! Even shorter underneath at the back! This is a side view! You can see how my fringe almost blends into the rest of my hair. Now I’m aware my hair looks slightly gradient-ed, which is where it’s shorter at the back than the front and is angled in towards my neck, but it isn’t, it’s just the angle at which my head it tilted! My hair is all one length apart from my fringe! Straightening the hair and curving it slightly inwards can give it a gradient-ed look. Front shot from the day I ha it cut! Oooh it smelt so good that day! So comparing Ella and me, the cut is very close to hers and it is possible for me to style it in a closely similar way to hers so in conclusion? SUCCESS! I love Ella’s hairstyles, since she was the tomboy of the group she always used to be seen wearing very short cuts, pixie cuts, boyish cuts, mushroom cuts but for the past few years she’s been rocking longer styles from bobs to shoulder lengths and now she’s got beautiful long hair falling to her chest. Ella suits all types! Since this style is technically chin length I was a little suspicious because my face is very round (pictures aren’t a good example) and apparently chin length hair will only amplify the roundness of the face making it look chubby but to be honest, mine isn’t so bad and even if it did I’d kind of like that! It works!